2018 saw a spike in USB-C adoption with some of the top computing manufacturers featuring the technology in their latest product releases. Research shows that adoption rates of USB-C on PCs is expected to reach 65% by the end of 2019, with tablets and handsets following a similar trend reaching 49% and 40% adoption, respectively. With this, the industry will also see a rise in Thunderbolt 3 adoption as Intel recently announced that the technology will be integrated into their latest processor, ‘Ice Lake,' by the end of 2019. USB-C and Thunderbolt 3 are well on their way to becoming industry standards. CES 2019 introduced us to 8K TVs, with manufacturers like Sony, LG and Samsung providing a peak at their models. To support the evolving standards and provide viewers with the performance they desire, HDMI 2.1, which offers an advanced bandwidth of up to 48 Gbps, will be a necessity. Consumers are continuously looking for more depth and clarity in their displays and the videos they watch. The higher the resolution, the better. UHD resolutions and faster refresh rates, like 8K60Hz and 4K120Hz on consumer displays and up to 10K in industrial and specialty use cases, will provide viewers with the captivating viewing experience they're looking for. Displays supporting high-dynamic-range imagery will provide viewers with vivid colors, intense details and clarity to allow them to completely immerse themselves in the videos they watch. The benefits of multi-monitor workstations have been understood for years. Besides being more comfortable, studies have shown increases in productivity and workplace efficiency since users have introduced multiple monitors to their workstation. As such, dual monitor workstations have quickly seen a rise in popularity. Recently, however, there has been a shift to triple and quad monitor workstations. Having three or four monitors further increases productivity and improves multitasking. With this shift, accessories to support these large multi-monitor workstations will continue to develop and provide users with unique solutions (docks, monitor mounts etc.) for their triple and quad monitor layouts. 2019 will see the introduction of 2.5gb and 5gb BASE-T Ethernet to provide more bandwidth for new wireless speeds without having to replace existing cabling infrastructures. Communications and data consumption rates continue to grow and evolve and yet we haven't seen the backbone of these technologies make any major leaps to keep up with these expanding needs. While 10gb ethernet already exists, it's expensive and requires an entirely new cabling infrastructure. Wi-Fi speeds are expected to reach up to 6.8 Gbps and the 2.5gb and 5gb ethernet protocols will support this evolution, making the evolving speeds accessible through existing cabling thus ensuring that users will be able to benefit from these increasing standards. As Director of Product Development at StarTech.com, Nirav Gandhi keeps his finger on the pulse of emerging technology to ensure StarTech customers are always connected. 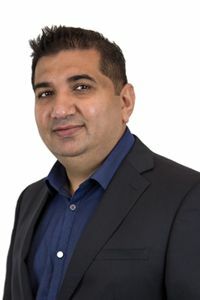 Nirav oversees the team that is responsible for developing all the cutting-edge and hard-to-find connectivity products that IT professionals need to enable their solutions.